The Messenger is ranked in the 95th percentile of games scored on OpenCritic. The Messenger is a real accomplishment for the fledgling Sabotage Studio. The Messenger is a prime example of how to study the fundamental rules of a genre that has been replicated a million times before. To then follow these rules, bend them and eventually break them into something of its own calibre of quality is something quite special indeed. On top of that, it layers on an onslaught of laudatory elements, whether it's a winning, humorous tone, the excellent linear level design, or the marvels of the late-game exploration. When I first sat down with The Messenger, I thought it'd be hard for it to live up to my brilliant, childhood memories of Ninja Gaiden on NES. It didn't just meet those expectations, it annihilated them. The Messenger is a straight-up brilliant addition to the Switch and if you have any affinity for platformers of nearly any shape or size, go play it right this second. The Messenger is easily one of the best indie games in recent years where you can see the passion of the developer in nearly every aspect of the gameplay, complete with some unique twists along the way. The Messenger succeeds in just about everything it does. It's a masterful retro throwback with challenging action-platforming and a charming story to tell. At the same time, its mastery of revealing itself over its ten-hour runtime and pushing the player forward is something that every modern game could learn from. Sabotage created a game filled with nostalgia in a very positive way. This is one of the best game of the year so far! Every gamer who's played retro classics like Ninja Gaiden or Strider, should give this one a try. 2D side-scrolling action games like The Messenger may be a dime a dozen these days, but you'd be missing out on something special by passing this one up. Featuring a surprisingly long campaign, an incredible soundtrack and tight, challenging level designs, The Messenger stands as a shining example of great game design. We'd highly recommend you pick this one up; it's the very definition of a modern classic. Despite the writing, which is definitely an acquired taste, The Messenger is a truly excellent classic platformer and a bloody good Metroidvania. There's enough of a twist on both genres to make it stand out in an increasingly crowded market. It looks great, in both the 8-bit and 16-bit sections, and the music sounds like it's ripped from the best NES game never made. There's a chance the trial & error nature of the bosses will put off some people, and the run-time is certainly long for the genre, but The Messenger is a staggeringly good game and a shining example of a big risk paying bigger dividends. The Messenger is an excellent indie release that has found a good home on the Nintendo Switch. I spent half of my time with the game playing on the TV and the other half while in Portable mode, and the game looked just as great and was just as fun in both scenarios. A short game this is not, since you're looking at 20+ hours to 100% this release between the first part of The Messenger, the jump to 16-bits and the Metroidvania twist. You'll meet former foes who have turned a new leaf and old enemies with a new look as you try to defeat the greater evil behind all of this before it is too late, and you're going to have a blast doing so. Devolver Digital presents The Messenger, a finely-tuned action platformer that will satisfy hardline retro enthusiasts and new gamers alike. The Messenger is a horrible name for a game that pays homage to Ninja Gaiden. Don't let the name stop you, though. This is one of the best of its type and is worth checking out. I do wish it was more widely available across consoles, but Switch and PC owners should certainly not miss this one. The Messenger has all the necessary elements to become the indie of the year or at least to fight it with arguments of weight. 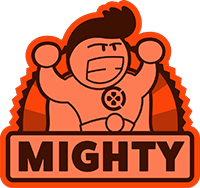 A design of outstanding levels, battles with bosses very satisfactory, plot with a lot of chicha and fun to tons. So tie your sword to your belt and jump without fear of adventure. Packed with clever story surprises and dynamic, richly-constructed gameplay, The Messenger is both a tribute to and affectionate pastiche of 8 and 16-bit game design, storytelling and nostalgia. It belongs in every Switch owner's eShop library. The Messenger is a retro-styled old school challenge that starts off easy but will soon test any player's hidden ninja skills. This is a multi-genre homage to some real classics that manages to feel like a long lost gem. The Messenger is a finely crafted homage to the kind of game that first introduced many avid gamers to a lifelong hobby. Ninja games have been around since 8-bit classics like Ninja Gaiden, Strider, and Shadow of the Ninja. The Messenger fits right in with its tight gameplay, challenging degree of difficulty, and satisfying campaign. Even with a shaky back-half, The Messenger is still an adventure worth seeking out. The agility focused platforming provides a satisfying challenge, the writing is surprisingly clever, and the graphical shifting is more than just a simple gimmick. For those who spent hours playing the original Ninja Gaiden or Castlevania on NES and are looking for a bit of nostalgia, The Messenger will be a near perfect fit. 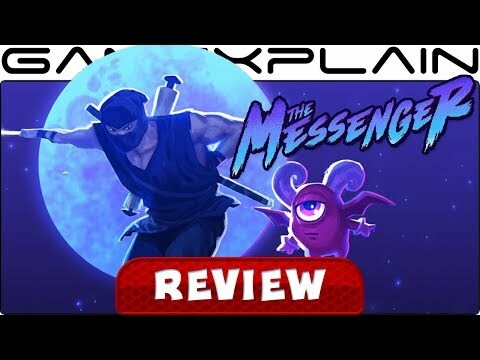 Even if it tends to be a bit frustrating in its second half, as it opens up a bit, The Messenger is still a magnificient and really great to play independent action platformer with some clever ideas and a lovable personnality. Arguably the finest 2D action-adventure of 2018, a year that has seen an influx of well-crafted Metroidvanias. The Messenger is yet another quality indie title that comes to Nintendo Switch this year: if you've grown up playing Ninja Gaiden or any Castlevania game (both pre and post Symphony of the Night), this is the adventure you've been waiting for. But even so, The Messenger features an understanding of design, from the 8-bit to the 16-bit to the modern era, that make it more than a throwback. Sabotage Studio's debut title, The Messenger, is an impressive evolution for the platforming genre. It takes risks that at times work in its favor but also create frustrating mechanics for players to look past. The melding of 8-bit and 16-bit aesthetics into a love letter for the NES era of platformers is nothing short of genius, but the style outweighs the gameplay in some areas, including the difficulty level. The Messenger surprises by being a round game in all aspects. 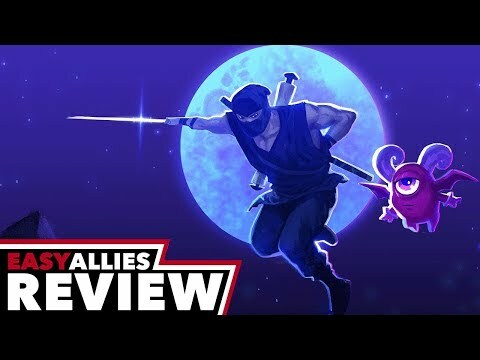 A platform that becomes metroidvania and that serves as a tribute to the classic Ninja Gaiden. And be careful, because we're also going to laugh a lot with him. The Messenger is simple, it has near to no challenges and it's non-widespread levels make it's diverse platforming mechanics undervalued. so if you haven't experienced The Messenger yet, you didn't miss a great title. Had The Messenger been two separate games, I'd have waxed lyrical about the first while eliciting a "meh" for the second. Put together, it's a package that some will adore, while others will simply grow tired of. The Messenger is a unique and enjoyable 2D platformer with a strong personality and exciting gameplay, and its fine-tuned appearance on the PS4 is a welcome one. The first half of the game is worthy of unfettered praise, but the experience takes a hefty blow at the halfway point from a failed attempt at expanding the scope. This aside, it remains a lovingly conceived game and is well worth playing through on this basis, but its flaws prevent it from going down as a true classic. In light of the fact that this is the first game by Sabotage, it's fair to say that the studio's future is bright.